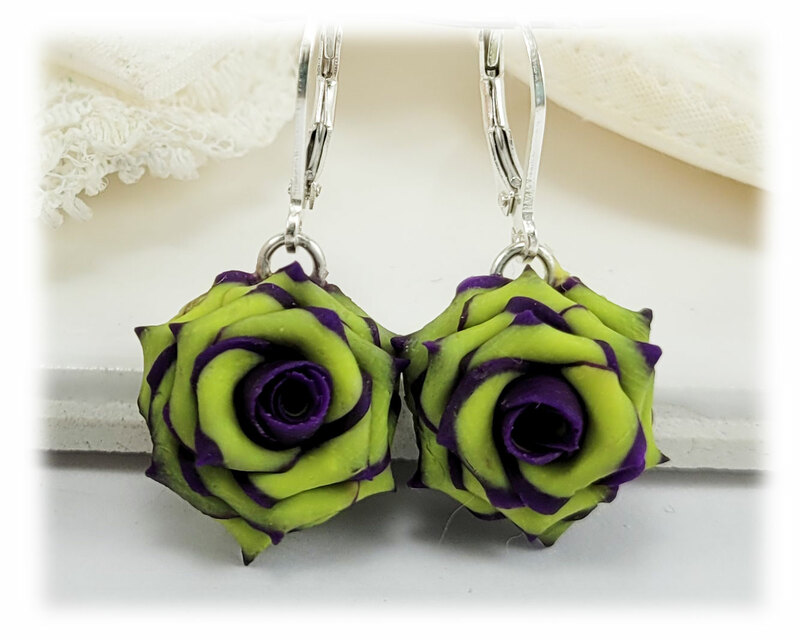 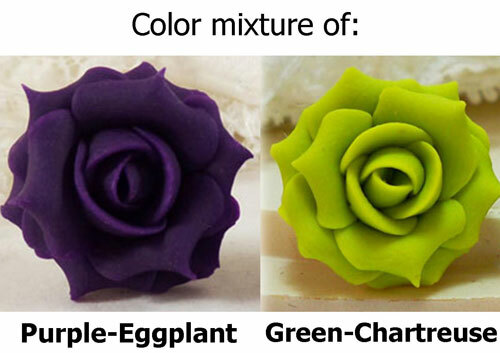 Artisan crafted two tone purple and chartreuse green rose drop earrings and dangle earrings. 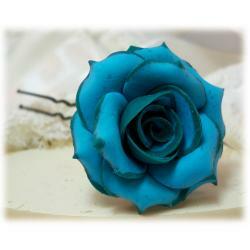 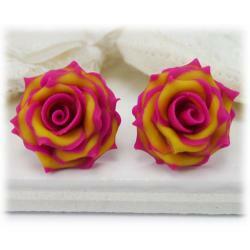 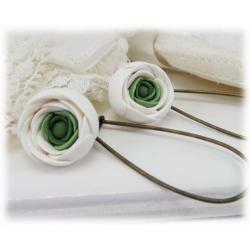 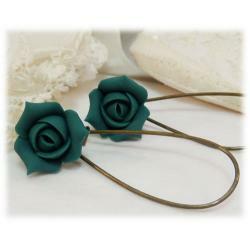 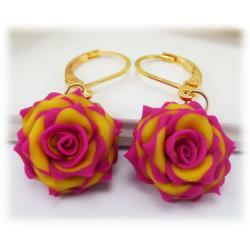 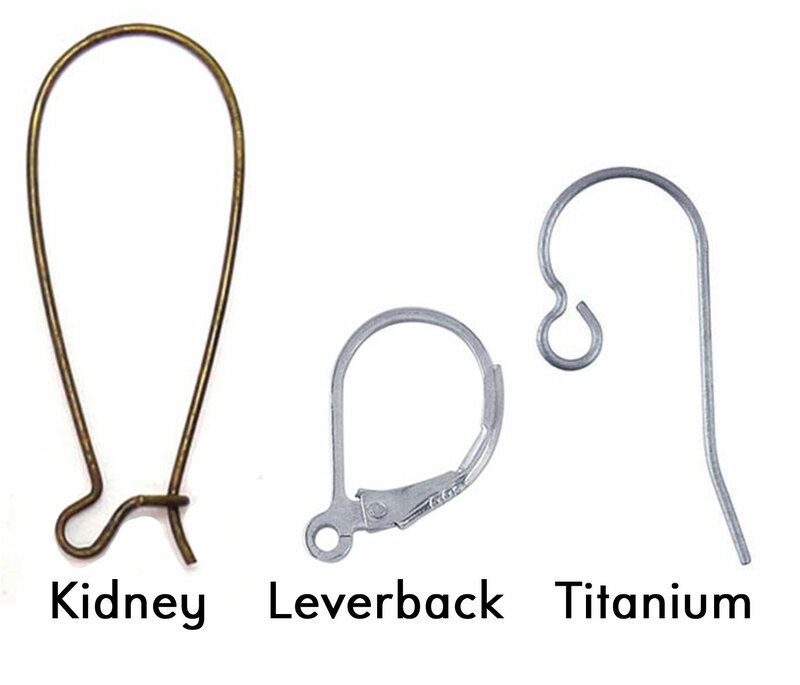 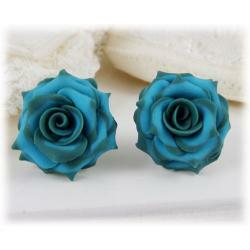 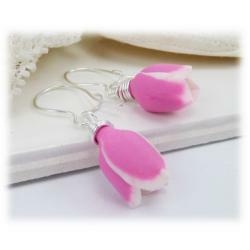 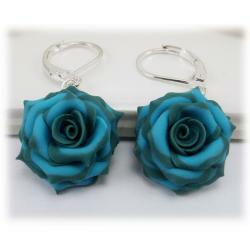 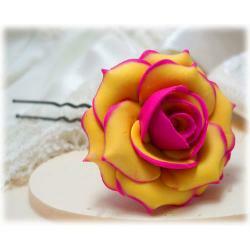 These flowers are available on leverback or kidney earwires and in short or long styles. 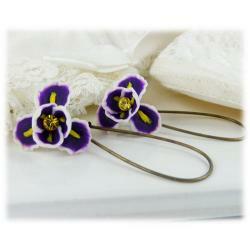 1.5cm flower diameter.